I was Denied for TDIU – is There Something I Can Do? One of the most challenging things for disabled veterans after their discharge from the military is getting accustomed to life with disabilities and another is handling the paper-intensive, bureaucratic process of getting the proper amount of disability benefits. Sometimes mistakes are made in paperwork, or necessary documentation is missing to support certain ratings, and a veteran and his or her family may end up not getting benefits which they are entitled to receive. 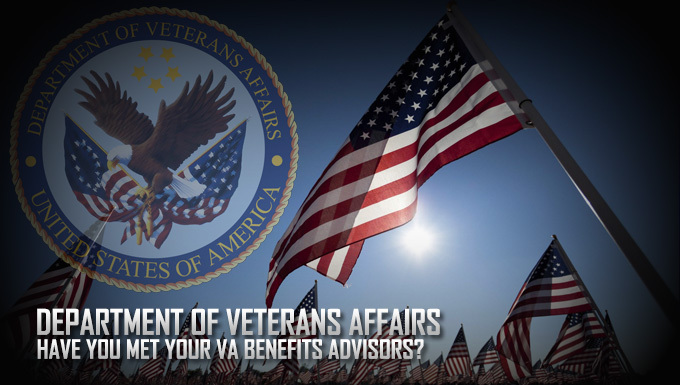 When dealing with the disability benefits process with the VA its helpful to treat a denial as an invitation to re-evaluate your application and get some expert assistance in moving past the denial with more information or a changed strategy. One example is a denial for TDIU because the veteran’s disability rating is too low. As a refresher, TDIU (total disability individual unemployability) is an additional route to getting a 100% disability rating. If you have been denied TDIU, it’s worth re-evaluating several aspects of your claim to see if the denial can be overcome. A good place to start is the underlying individual disability ratings. Under 38 CFR 4.16(a), one of the criteria for TDIU is the veteran having one service-connected disability with a 60% or more disability rating, or two or more service-connected disabilities with a combined rating of 70% or more. If the VA has concluded you are not eligible for TDIU because your disability ratings do not meet those thresholds, it’s worth re-evaluating those ratings to see if they can or should be increased. If you can get an increase in disability ratings such that they meet the threshold for TDIU, then you may be able to get a changed ruling. The second criteria for TDIU is medical evidence of unemployability Sometimes medical records clearly reflect aspects of the disability that would reflect unemployability – for example, if the veteran’s doctor notes that because of a service-connected back injury, the veteran cannot stand stationary for more than 10 minutes at a time, or sit stationary for more than 30 minutes at a time with lying down to rest – the medical evidence of unemployability is not hard to decipher. However, sometimes medical records are not so clear in the connection between employment and the particular disabilit(ies) of the veteran. Mental health disabilities are often not documented in a way that makes it immediately apparent that the veteran is unemployable. Additional medical records can be obtained, or a vocational expert retained, to connect the dots between the medical records and the unemployability. Finally, there is a fallback provision in 38 CFR 4.16(b) that allows for extra-schedular consideration of a TDIU claim, for claims that aren’t as obvious. Though extra-schedular consideration often also requires an appeal to the BVA, they are sometimes approved. Has your TDIU claim been denied? You might need a second opinion. Veterans Law Group specializes in helping veterans and their families get all of the veteran disability claims benefits to which they are entitled. Fill out this questionnaire and submit to our office for evaluation. We will review your request for a consultation and contact you as soon as possible. Our consultations are free of charge.